NONI LEAVES SUPER PREMIUM, Tree Collected One to One, Green Leaves with total active ingredients, Train dried, full handmade procesed, Biological Control. 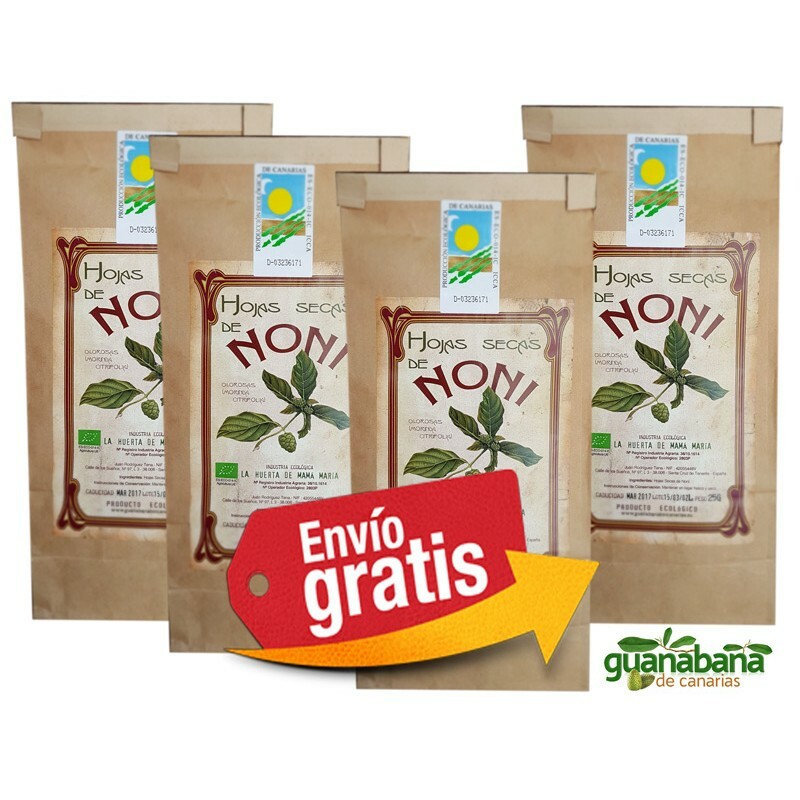 Quality: NONI SUPER PREMIUM LEAVES, Tree Collected One to One, 24 h. Drying Station, full handmade procesed, Biologic Control. Origin: Mama Maria farming · Guimar· Tenerife · Canary Islands. Spain. The Europe largest plantation of NONI. Mama María dried leaves of NONI are collected directly from the tree, not from floor, selecting the most optimal and mature as SUPER PREMIUM quality. After being washed several times with osmotized water, are passed to a drying station, which has a specific temperature that makes our leaves are first quality, while retaining its structure, color and natural aroma. 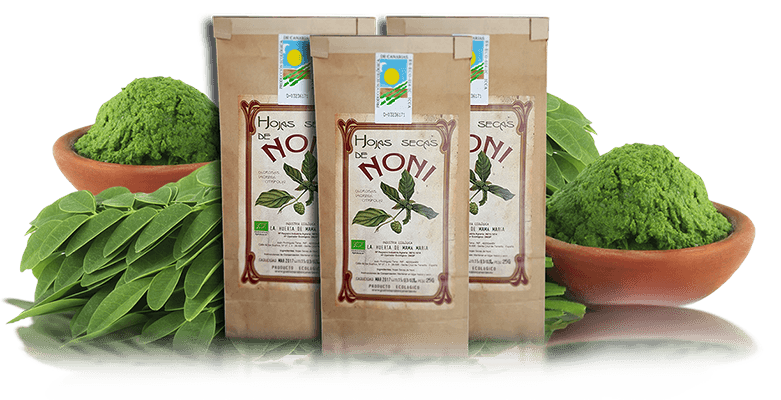 Upon completion of the drying process, NONI leaves are reviewed one by one and packed by hand in kraft paper bags, the individual package contains a window in which you can appreciate the extreme quality of the leaves and each bag has a control numbered organic label, certifying that are 100% organic NONI. Our plantations of 10,000 mature SOURSOP & NONI trees, 15 years grown in our 6 greenhouses and farms, under the strictest levels of biological control and the most exquisite personal care for quality,produce the tastiest fruits and the SOURSOP, NONI leaves. Graviola and Noni have been cultivated for more than fifteen years in Tenerife, in the Canary Islands (Huerta Mamá Maria, farms). Canary GRAVIOLA GUANABANA and NONI presents a result of exceptional quality, due to the best climatic conditions, Ecological & Biological control, substrates, ... than those that exists in other areas of global production, so that the Soursop leaves and Noni leaves from Canary Islands are the reference of the quality of cultivation in the world.